Where do I get the latest free version of Adobe Reader? Your files are in PDF format and are accessible through any free PDF viewer. We recommend Adobe Acrobat Reader because of the powerful search features which are vital to historical and genealogical research. At this link, you can specify your operating system (Windows PC, MAC, Android, etc.) and begin to enjoy your wealth of Texas history and Frontier genealogy - in a flash. Can I search all my files simultaneously? Your Hunters Frontier Times Magazine flash drive is formatted to function with Adobe Reader or any PDF reader program. With the free Adobe Reader PDF program you simply choose Advanced search and then point the search to the directory were your flash drive files are located, either as a drive itself (for example E Drive or F Drive), or on another drive on your computer where you may have saved your files. It is important to remember that all 352 PDF files must be located on the same drive in order to simultaneously search all files at once. 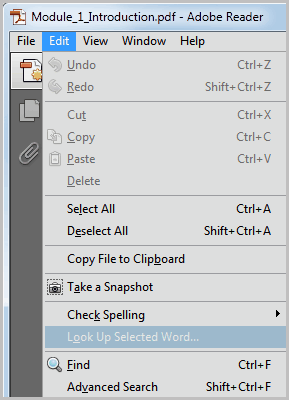 Then using Adobe Reader Advanced search features you can search your flash drive using word search, phrase search, Boolean search criteria or any other number of ways. One of the most effective ways to search especially if you are researching common surnames such as Clark, Davis, Johnson etc., is to use “Proximity search”. With proximity search you can enter a surname such as Johnson and then set the criteria for proximity as (for example) 20 and then type a second term such as Denton or Denton County, San Saba or San Saba County, Llano County, etc. The results will conclude all citations of the surname “Johnson” that occur within 20 words of the proximity search term such as the place Denton, etc. That way, you can determine if the “surname” you are researching may have lived in a particular area, participated in a particular event, etc. You can also use proximities search to link dates or events. If, for example, I wanted to determine if Texas Ranger captain June Peak had participated in a particular battle I could associate the term “June Peak” in proximity range within 20 words, 10 words or whatever the case may be with the event name, for example, “Adobe Walls” or some other event or date. We hope that this information helps in your research. It is our goal for your flash drive to be a very powerful resource tool for researching your Texas history names dates places and events. Do not hesitate to email us with any further questions you may have. For further information on how to search multiple PDF documents, click here. What about pricing? Do you offer discounts? 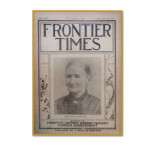 All of our J. Marvin Hunter’s FRONTIER TIMES MAGAZINE downloads are $4.95 each. We offer discount pricing for multiple issue purchases. Let us know if you need more than one downloadable issue and we’ll be sure to extend a significant discount, or just take a peek at our multi-issue flash drives and CD-roms. All of our J. Marvin Hunter’s FRONTIER TIMES MAGAZINE hard copy reprints are $12.95 each with FREE SHIPPING. We offer discount pricing for multiple issue purchases. Let us know if you need more than one hard copy issue and we’ll be sure to extend a significant discount. What’s the difference between Frontier Times 3 Product Types? In 2004, the full and exclusive copyrights to all of these treasured magazines were awarded to FrontierTimesMagazine.com. It is our aim to provide the genealogical, historical research and literary archivist community with quality-minded and technologically advanced means to access these historical masterpieces. We typically ship hard copy magazines from our extensive inventory of Frontier Times Magazine reprints that were printed in the 1970?s. However, we also offer many of our issues in the first edition originals. The originals are great for gifts, memorabilia and keepsake.Please contact us directly if you wish to purchase an original hard copy. Our popular multi-issue research flash drives and CD-ROMs are great, especially if you want many issues or a range of issues accessible on one convenient drive or disk. These PDF versions have the distinct advantage of being searchable and economic as compared to the hard copies. The downloadable versions have the same look as the original hard copies, all original advertisements, covers, photos, maps, etc. it is the exact magazine as you would read it in hard copy. Like the flash drive and CD-rom versions, the downloads have the distinct advantage of being searchable and economic as compared to the hard copies.